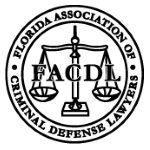 Florida Statute Section 943.0585 and 943.059 regulates the sealing and expungement of a criminal record. There are only certain instances when a criminal record may be sealed or expunged. The sealing and expunging of a record is a separate process from your criminal case. This can take some time to accomplish and our office has been handling those types of matters for over 20 years. There is a difference between sealing and expunging a record. To have a record expunged your criminal case must be no-infoed or Nolle Prossed by the Prosecutor. You may also have your record expunged if the Judge dismissed the case or you are found not guilty. To seal a record you must have the Trial Judge withhold adjudication as part of your sentence. You should be aware there have been changes in Florida’s laws and there are instances where sealed and expunged records may be obtained by law enforcement or other entities. You should also be aware that you may not seal or expunge if you are adjudicated guilty by the Judge, You have been convicted of a criminal act in the past or you have had a prior sealing or expungment.